The “China galleons” greatly stimulated spatial interactions between Acapulco and Manila, 15,000 km away. Many Mexicans settled in Manila and scores of Nahuatl words entered Tagalog, the main Filipino language. These included atole, avocado, balsa, cacao, calabaza, camote, chico, chocolate, coyote, nana(y), tata(y), tocayo and zapote. As well as vocabulary, some aspects of Mexican cuisine, customs and dress were also introduced to the Philippines, along with a variety of plants and flowers. In addition, the Filipino currency has the same name as Mexico’s: the peso. A large number of Filipinos migrated in the other direction, escaping from their life of servitude aboard a galleon by jumping ashore on the coasts of Colima and Guerrero. One sizable Filipino community settled in Coyuca, on the Costa Grande, 50 km north of Acapulco. Coyuca was apparently known as Filipino Town at one point in its early history. The Filipinos settling in Mexico introduced mangoes and a game called “cara y cruz” (heads and tails). The settlers were known locally as “Chinese Indians” and brought their expertise in the cultivation and use of palm trees with them. In Tagalog, palm fronds are known as “palapa” and by the end of the 18th century, this name was in use, too, for the palm-roofed shelters which remain a distinctive style of architecture along Mexico’s coasts.The coconut palm’s sap is known locally as tuba. Filipino newcomers fermented the resulting coconut wine into a potent drink. Henry Bruman, a University of California geographer, documented how Filipino seamen on the Manila Galleon also introduced simple stills, for making coconut brandy, to western Mexico during the late 16th century. These techniques were quickly adopted by Mexicans who were then able to turn the hearts of their native agave plants into tequila. This is an excellent example of how developments in transportation can encourage cultural exchanges, and diminish the social, economic and cultural distance between places. 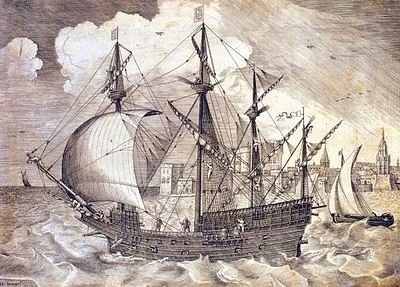 According to some historians, Mexico’s “China Poblana,” the woman who supposedly arrived from the East as a slave during the early 1600s and subsequently captured the hearts and minds of the people of Puebla, was actually a Filipino noblewoman who had arrived in Mexico aboard one of the Spanish galleons. Mexico’s independence from Spain (1821) brought an end to the Manila–Acapulco galleons, though the network of shipping links then expanded from Veracruz to New Orleans and New York. Mexico-Phillipines friendship has continued down the years. For instance, in the second world war, several Mexican air force pilots, in the elite Escuadrón 201, were sent by the US government to lend their support in the Philippines. The pilots were decorated by the Philippine’s government for their heroism. I want to study Spanish in Mexico but I have no money. I hope the Mexico government can sponsor my financial expenses while I study in Mexico. This sounds like a very interesting project, and we hope you are able to find a suitable source of funding. We are unaware of any Mexican government funds for non-Mexicans who want to study Spanish in Mexico. Perhaps there is a cultural organization in your home country that might be able to finance your studies? The tequila and the use of nanay and tatay who knew it was a product of the relations between the two countries? it’s just funny how they Filipinos were considered and called Chinese. Then again, my cousin who is a Colombian mestizo is considered to be “Chinese” looking in Colombia even if he really doesn’t look Chinese at all!!! It’s such a shame though, if they weren’t called Chinese then maybe the Filipinos and the Mexicans will be more aware of the close relationship they share. The Tequila and the words nanay and tatay are very much integrated into everyday society meaning the influence of the two countries are supposed to be prfound! To study the Philippine’s hispanic heritage one must also review the relations it had with Mexico. Thanks for your article! I have a question though: do you know what historian or historians in particular claim that Catharina San Juan, the “China Poblana” was actually Filipina? I was just in Mexico City and someone was talking about her, but didn’t say anything about the possibility of her being Filipina! Thanks. I haven’t personally seen the original, but I believe Francisco de la Maza was one of them [the link is to wikipedia entry] in his Catarina de San Juan: Princesa de la India y visionaria de Puebla. The commonly told version of the story (with far more details than the brief mention in our post) is given in the Wikipedia entry for China Poblana (but sadly without adequate referencing). In the Philippines, we have a great devotion to the Black Nazarene, a sacred statue of the Christ carrying his cross and (usually) in a genuflecting pose. It is of dark hard wood. It is said to have come from a town in Mexico way back in the early 1600s. But it doesn’t mention exactly where. The stranded officers and crew of a galleon ship had prayed for fair weather and safety. When the skies cleared up a bit, the captain requested the parish priest to allow his men to take the Black Nazarene (perhaps a copy to spare) along with them to guide them home safely. I have some questions: 1. Is the Black Nazarene devotion still practiced in Mexico? 2. Where & how is this devotion practiced particularly? Many thanks for your interesting write-ups. You win “question of the week”! Thanks for your very interesting information about the Black Nazarene. I have absolutely no idea what the answers to your questions are, and will try to do some digging into the relevant history, but hope that someone else reading this is able to offer more help. Beyond the fact that the Black Nazarene was apparently carved in Mexico, I can find no references to the Black Nazarene (or devotion to the Black Nazarene) in Mexico. If anyone reading this knows more about this interesting link between Mexico and the Philippines, then please let us know. Oh! Thanks for your quick reply. Actually, the wikipedia article is not that accurate. I’m not a chemist, but I don’t know if burning ivory would result in it looking like dark wood. My graduate thesis back in 2001 was on the aesthetics in the Black Nazarene devotion, part of which became a chapter in a book. Anyway, I have to give a talk in a couple of days on this again so I’m just clarifying a few things. And by the way, do I get a prize for winning “question of the week”? Thanks for answering. More power to you. Sorry, but there is no tangible prize for question of the week, beyond getting a faster-than-usual response! I hope your presentation goes well, and should you discover more about Black Nazarene devotion in Mexico, please let us know. Thank you for the Richard Perry link you shared. I like scrolling down his informative blog, but there were no Black Nazarene images in the fantastic photos he posted. I will ask him about it one of these days. A Mexican priest told me there is a Black Nazarene in the Zocalo Catedral. And yes, my presentation went well. I’ve been reading the other posts in this site too, like on the recent earthquake. poor baby! Glad your presentation went well. There’s certainly a Black Christ in Mexico City cathedral, but (so far as I know) depicted on the cross, not carrying the cross.